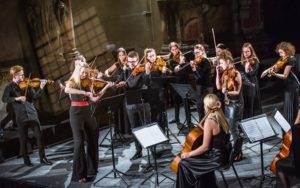 CORRIDO: A Ballad for the Brave, premiered on 2nd November to a sold out audience and standing ovation. 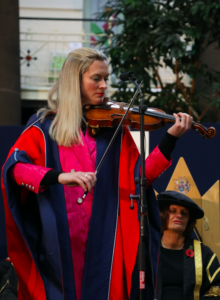 Lizzie’s combined credits for the show as Lead Violinist, Vocalist, Composer, Co-Producer and Co-Creator set the scene for a tremendously bright and altogether fitting celebration for Mexico’s Day of the Dead Festival. The show was hosted exclusively by the museum as a part of the hugely successful Frida Kahlo: Making Herself Up exhibition, in which many of Frida‘s personal possessions left the shores of her beloved Mexico for the first time in 50 years. 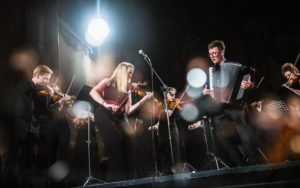 Lizzie shared the stage with Polish accordionist Bartosz Glowacki, Chilean guitarist Jorge Bravo, Mexican guitarist Morgan Szymanski and award-winning, critically acclaimed Actress and Director, Eve Best. 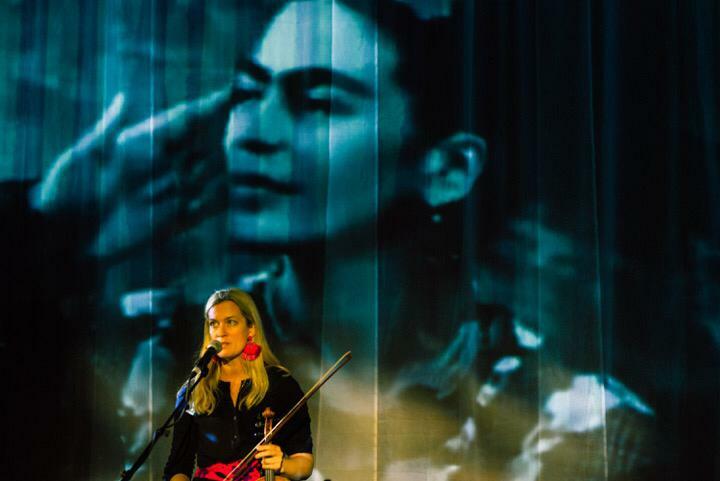 CORRIDO: A Ballad for the Brave is an immersive concert which pays musical homage to artistic self-expression, amplifying female voices and honouring established heroines, including the life and works of Frida Kahlo. Drawing inspiration from the cultural landscape of her time, the concert carries an audience on an impressionistic audio-visual journey through exquisite music, original art and animation, and bold video design. Behind-the-scenes the piece starred some of the entertainment industry’s most talented production team in Director, Co-Producer and Writer, Emily Blacksell (Old Vic), Animator and Art-Director, Coline Brun-Naujalis, Sound Designer, John Leonard and Video and Light Designer, Rod Machlachlan. 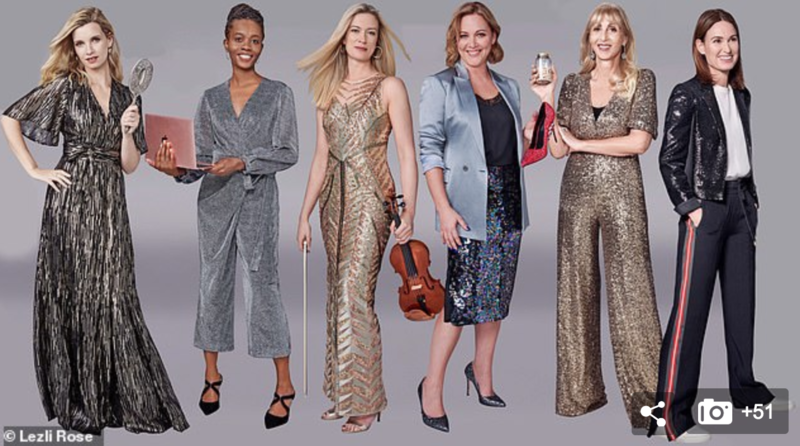 It’s no wonder that the show was welcomed with international press acclaim and riotous applause from as far away as Mexico itself where the show was celebrated as ‘a triumphant debut of a show honouring Mexico, Frida and other strong women of the age’. For more information about the show and to download its Programme, visit the V&A website. 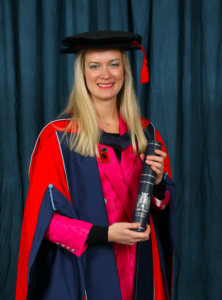 Lizzie was recently awarded an honorary degree in recognition of her achievement in the field of music and her innovative and creative approach to classical music from University of Derby. 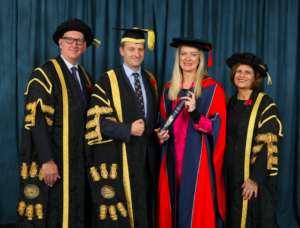 Upon receiving her degree, Lizzie performed to a standing ovation from all in attendance at University of Derby’s graduation ceremony at the Devonshire Dome on Saturday 10th November. 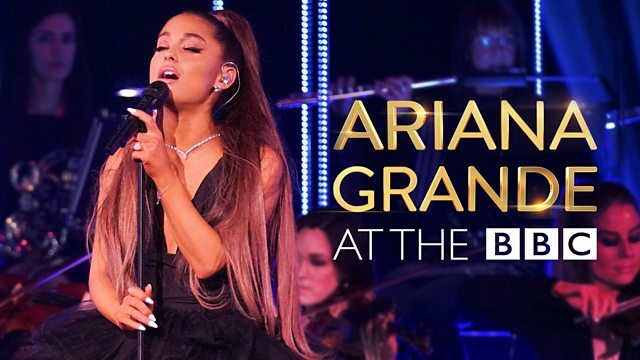 Ever the pioneer, Lizzie has lead an all female group directed by Grammy Award Winner, Steve Sidwell, for the much anticipated ‘Ariana Grande at the BBC’. 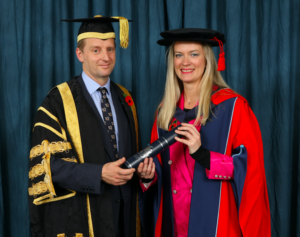 UK viewers can view the entire performance until the end of November on the BBC iPlayer. 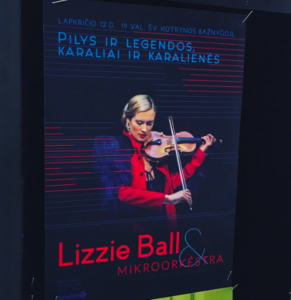 Lizzie recently performed to a standing ovation as Orchestra Director and Soloist with the hugely talented Mikroorkéstra (founded by the hugely talented Martynas Levickis), at St. Catherine’s Church, Vilnus, Lithuania. 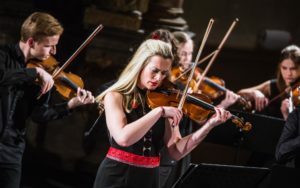 The performance was titled KINGS AND QUEENS, CASTLES AND LEGENDS and was an all English programme of Elgar, Holst and Walton, to honour the fallen for Remembrance Day, in a church that was a former prison for prisoners of war in World War Two. The evening featured Martynas Levickis as Artistic Director and Conductor, and Vilnus City Ensemble, Mikroorkéstra.